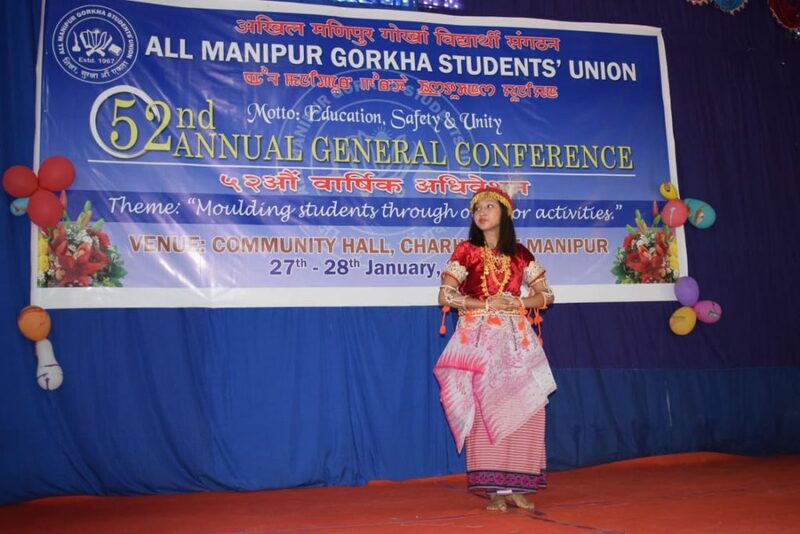 The two-day long All Manipur Gorkha Students’ Union (AMGSU) 52nd Annual General Conference at Charhajare in Kangpokpi District concluded today with felicitations, thanksgiving, discussions on various important issues of the Gorkhas in Manipur and other cultural extravaganzas. The closing ceremony of the AMGSU 52nd Annual General Conference was attended by AGM, RBO, State Bank of India, Kamal Khanal as chief guest while branch manager, SBI Sekmai Branch, Md. Ataorahman and president AMGSU, L.B. Adhikari, as the guest of honour and functional president respectively. GB of Irang Part-II, Ram Bahadur Karki; headmaster of Bishnulal High School, Charhajare, Kharga Prasain and headmistress, Gorkha High School, Kalapahar, Hari Maya Poudel attended as special guests. 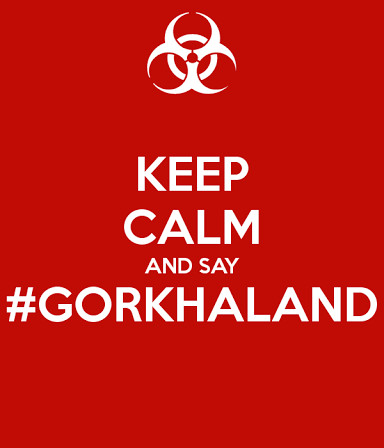 The AGM while conveying gratitude to the union for their selfless efforts for the welfare of the Gorkha community particularly the Gorkha student community said that students must be careful in building their career as they live in such a competitive world. 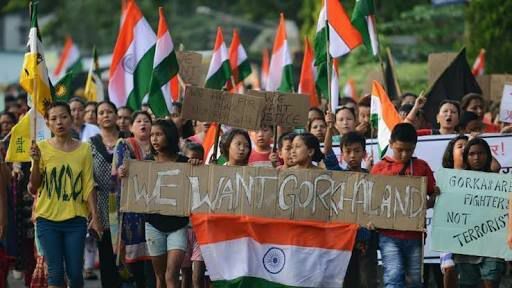 Kharga Prasain paid tribute to the late leaders of AMGSU and the Gorkha students who have an immense contribution for the union which had begun its journey since long time ago while motivating the present leaders and student community to work harder for the society and the student community. 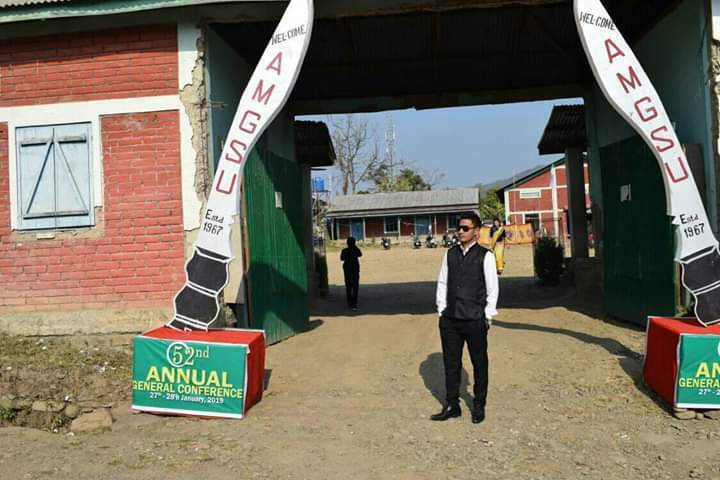 President AMGSU encouraged Gorkha students to abstain from unnecessary use of social media but to rather embrace the path that can lead to quality education. The closing ceremony was attended around 300 delegates of AMGSU units from across the state to discuss on the AMGSU Plans 2019 and its implementation during the conference. The closing day also witnessed felicitation of Gorkha social workers, intellectuals, elected representatives, chairmen/secretaries of various Gorkha villages and organizations. Special session on the topic “need of the AMGSU for Gorkha society in Manipur” was also enthusiastically deliberated by the head of Hindi department, Presidency College Motbung, Dr Tankanath Khatiwoda, and former pradhan, Kanglatongbi G, Shiva Kumar Basnet, as the main speakers. 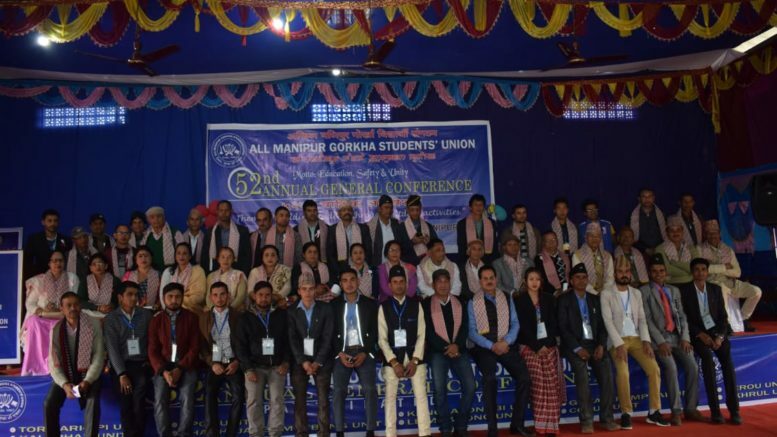 Be the first to comment on "All Manipur Gorkha Students’ Union (AMGSU) Organizes 52nd Annual General Conference"